OMG Posters! 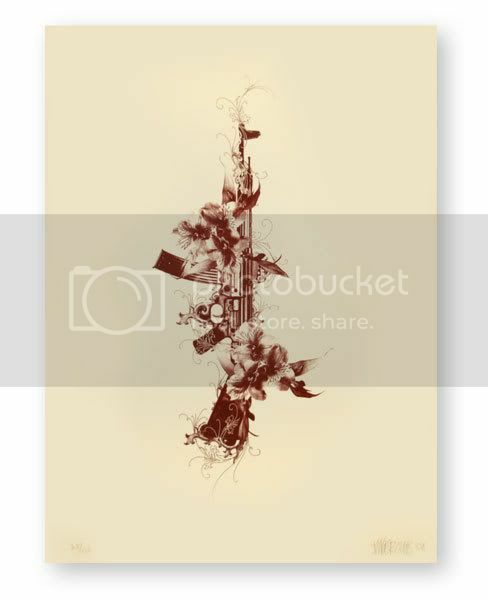 » Archive "Peace 47" Art Print by Travis P - OMG Posters! 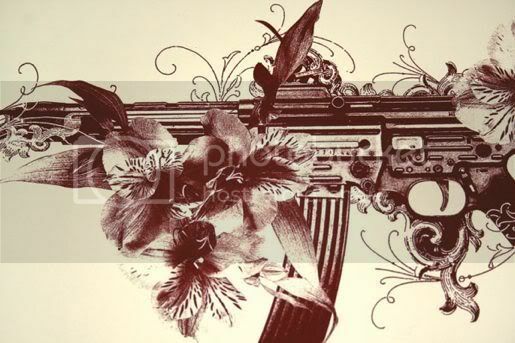 Here’s another great art print in the LA vs. War series that we previously covered, this time by LA artist Travis P. “Peace 47″ is a 22″ x 30” screenprint, has an edition of 100, and is only $40. These were printed at Hard Pressed Studios, the same place cranking out the amazing Mear One screenprints. Visit YoDepot.com. yes this does rock. why no comments peeps?? too awesome for ya?? huh ??? huh?? ?